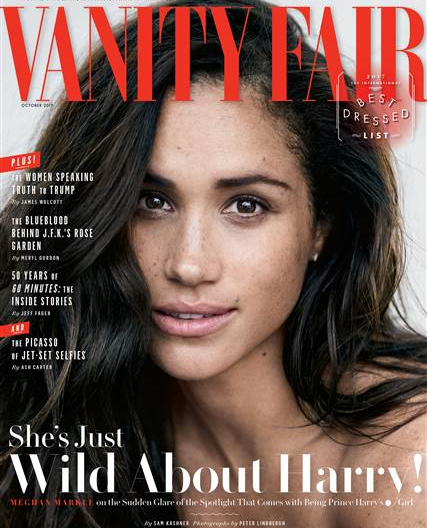 With yesterday's news that Prince Harry's girlfriend, Meghan Markle, has given a candid interview to Vanity Fair, royal reporters appear to be hunkering down for imminent engagement news. 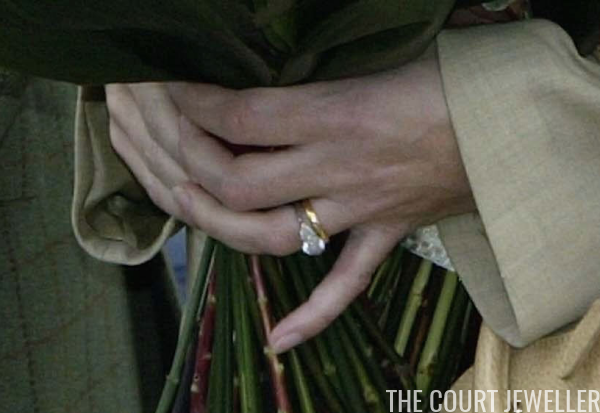 While we wait to hear when Harry's popped the question, let's have a look at some of the rings worn by British royal brides. 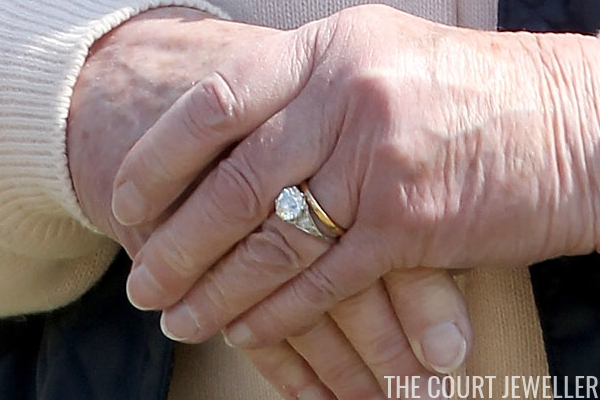 The Princess Royal has been married twice, and both of her engagement rings featured sapphires. Mark Phillips proposed with a Garrard ring featuring a central sapphire flanked by a pair of diamonds in 1973, while Sir Timothy Laurence presented her with a cabochon sapphire with a trio of small diamonds on either side (pictured above) in 1992. 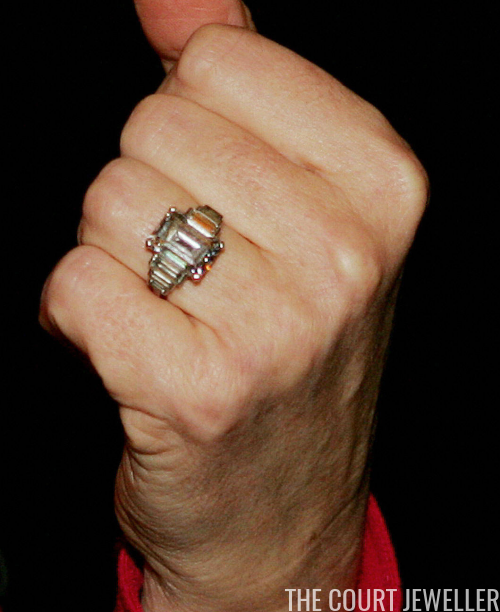 The Earl of Wessex went for a classic, all-diamond ring when he proposed to Sophie Rhys-Jones in 1999. The ring, made by Garrard, features a central two-carat oval diamond hugged by smaller heart-shaped stones. It's set in 18-carat white gold. 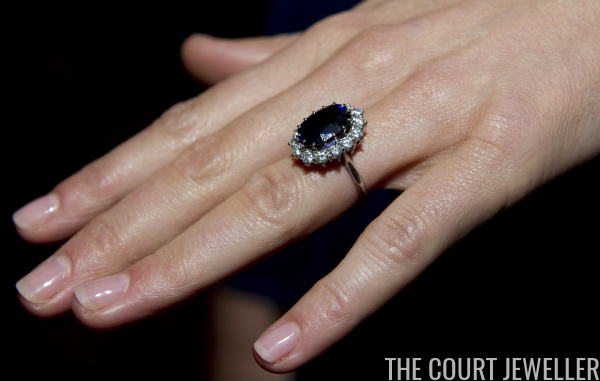 Autumn Kelly received another classic diamond ring from Princess Anne's son, Peter Phillips, in 2007. The white gold ring is set with a trio of diamonds, including an oval-shaped central stone. The most recent British royal engagement happened in December 2010, when Mike Tindall proposed to Princess Anne's daughter, Zara Phillips. 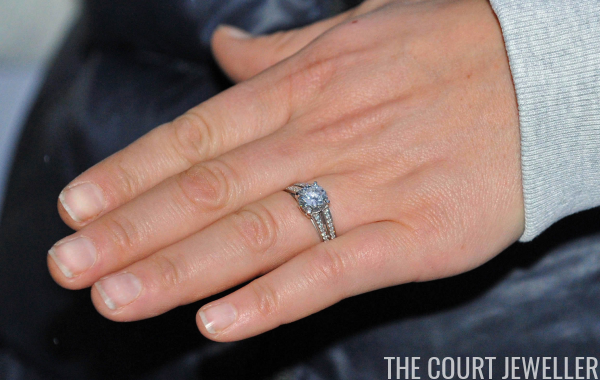 He presented her with large diamond solitaire set on a double platinum band with pave-set diamonds. What do you think -- will we see Harry propose with a traditional ring, or will something a little different be sparkling on Meghan's left hand? 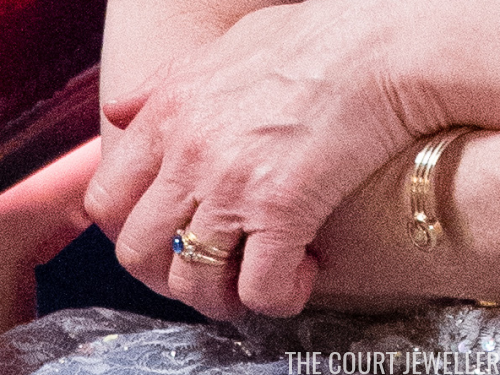 PS: we've got speculation about possible royal wedding tiaras over here!